One of major supporters of the Slovak Jewish heritage project is the Menorah - Jewish Heritage Foundation. Apart from financial support, the expert team at the foundation generously provides us with valuable consultations and other professional resources. Menorah is a non-governmental, non-profit institution, which was established in 2000 by a group of Slovak citizens. The major goal is to support activities leading to preservation of the Jewish culture and religion in the Slovak Republic. 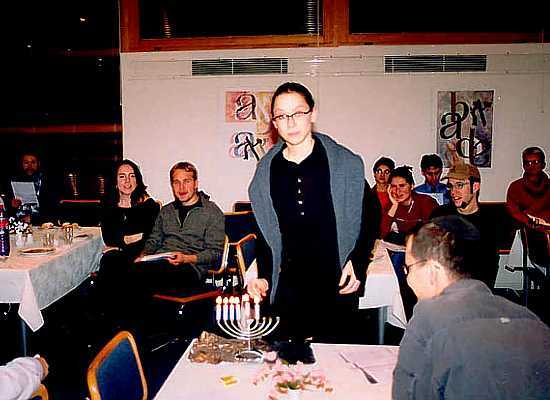 Menorah closely cooperates with the Jewish Community Bratislava and other Jewish organizations in the country. Its aim is to support education within the Jewish community, to organize seminars reaching disconnected individuals and to provide a possibility to teach Judaism, to help those who wish to live a Jewish life and to learn about their heritage. Menorah supports activities leading to protecting Jewish monuments and educating the general society about Judaism: we believe Jewish culture and religion also has to be opened to the non-Jewish world. Only thus can we promote the universal ideas of our Prophets and gain tolerance and respect in a democratic, pluralistic society.